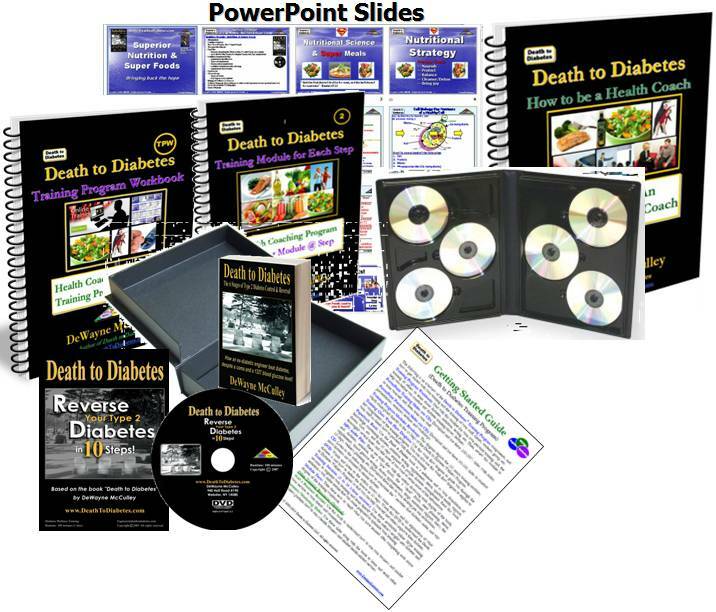 The Death to Diabetes® Educational Train-the-Trainer Training Program is a comprehensive set of training kits for health coaches, wellness consultants, dietitians, naturopathic doctors, other healthcare professionals, and corporations (with wellness initiatives) to provide diabetes/obesity/heart disease wellness training to members of their organization, company, etc. This program is a self-paced online training program with a physical training kit that provides training modules, module tests, CDs, DVDs, and 1-on-1 coaching to help healthcare professionals increase their level of knowledge and expertise to become health coaches, which, in turn, will allow them to grow their business and increase their revenues. These train-the-trainer certification programs are designed to help wellness consultants, diabetes educators, health coaches, naturopathic doctors, nutritionists, dietitians, health advocates, other healthcare professionals, and corporations (with wellness initiatives) to obtain state-of-the-art diabetes/obesity training materials. They can use these materials to train the general public, their membership, their employees, other personnel, and other diabetics; or, to train trainers or experts in their organization. 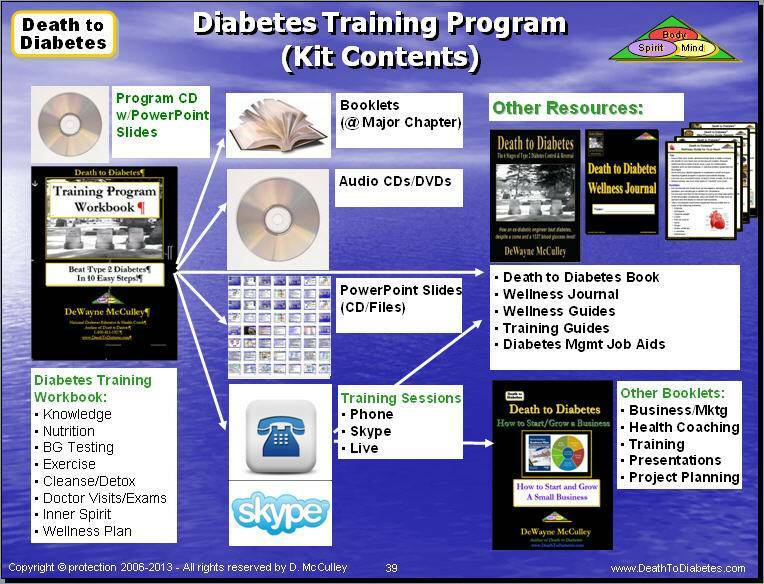 These training materials will allow them to teach the general public, their membership, their employees, other personnel, and other diabetics how to control and reverse the effects of Type 2 diabetes and its complications. As a result, health coaches, wellness consultants, diabetes educators, nutritionists, dietitians, health advocates, and other healthcare professionals are able to educate their clients and grow their business. The wellness program provides a comprehensive set of PowerPoint presentation slides with a downloadable CD, training guide and 2 DVDs that explain the slides -- to help you present the materials and project yourself as an even more competent healthcare professional. This wellness program explains the key aspects of nutritional science including the key macronutrients, micronutrients, the health benefits of each vegetable, fruit, nut, seed, oil, etc. This wellness program explains the key aspects of medical science including disease pathology, pathogenesis, cellular biology, drug impacts, alternative therapies, etc. 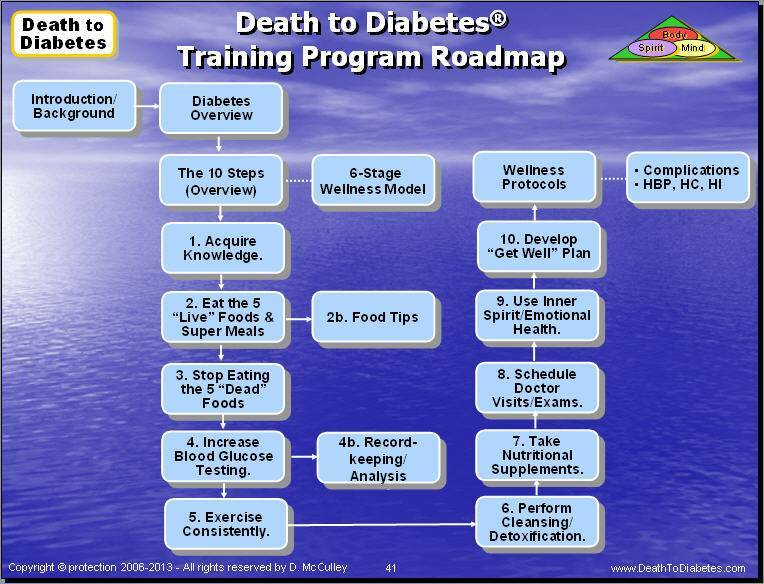 The Death to Diabetes® Train-the-Trainer Training Program is a flexible and modular training program that makes it very easy for a novice or expert to conduct impressive and effective training classes. This program includes the certification and health coaching programs. You will also receive 1-on-1 training from the author or one of our training experts -- to give you the insight into the program and how to customize the program to fit your business needs. Note 1: This training program is a physical kit that comes to your house -- it consists of 3 boxes, with books, booklets, CDs, DVDs, PowerPoint slides, etc. The training program also includes an online component via the phone and/or Skype -- that provides personal 1-on-1 training to you from the author. The program also includes ebooks and other online tools and job aids that can be downloaded to your computer. 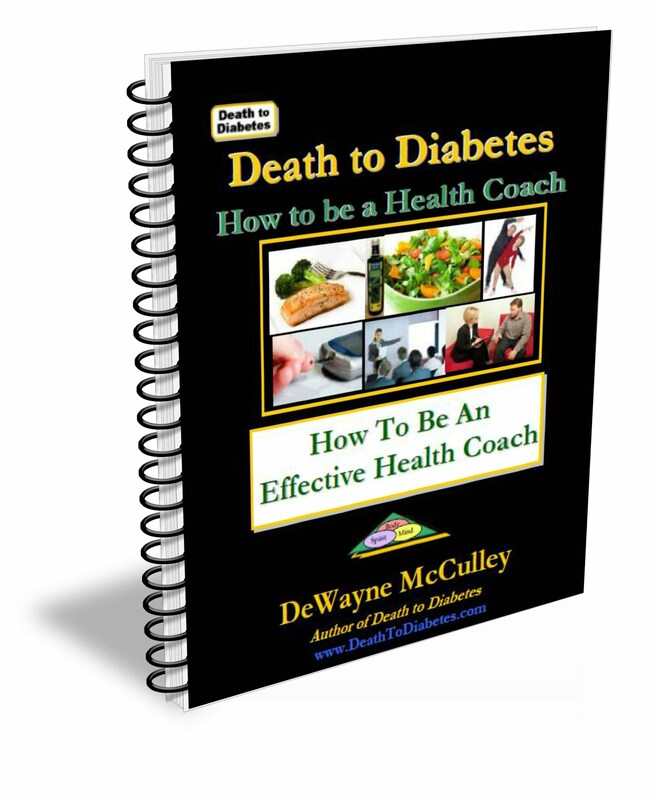 Diabetes Health Coaching is Growing!